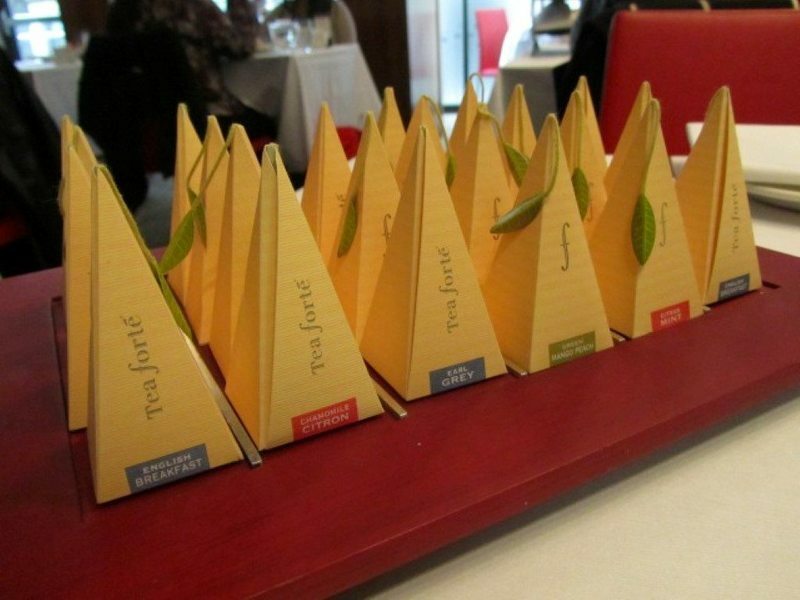 Afternoon Tea at Number Twelve started off with the presentation of a tray of neatly arranged tea pyramids. The Tea Forte teas ranged from the classic English Breakfast and Earl Grey to fruit green tea and also herbal camomile and mint teas. 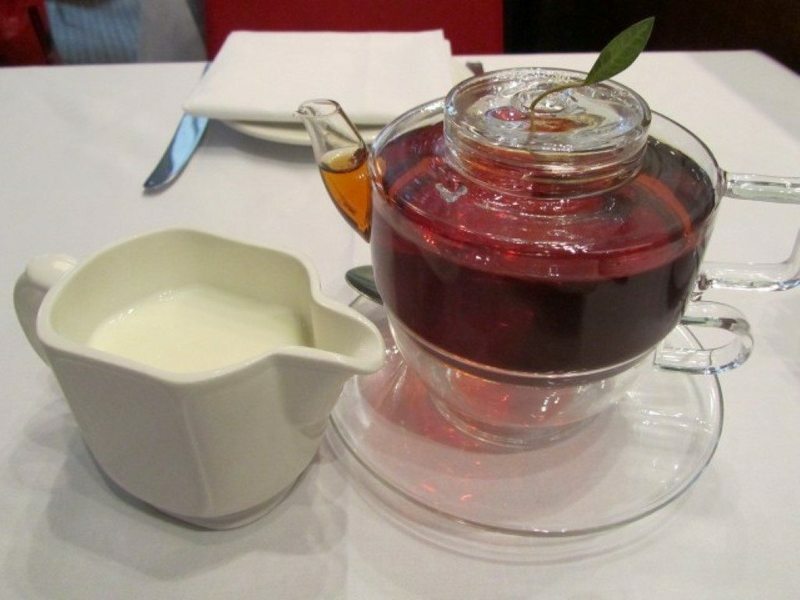 There is something about Afternoon Tea that more often than not makes me choose the Earl Grey tea. The tea came in a translucent tea pot with the signature green leaf of Tea Forte coming out of the top. A small white jug of milk came on the side. The fresh finger sandwiches were on a separate plate. 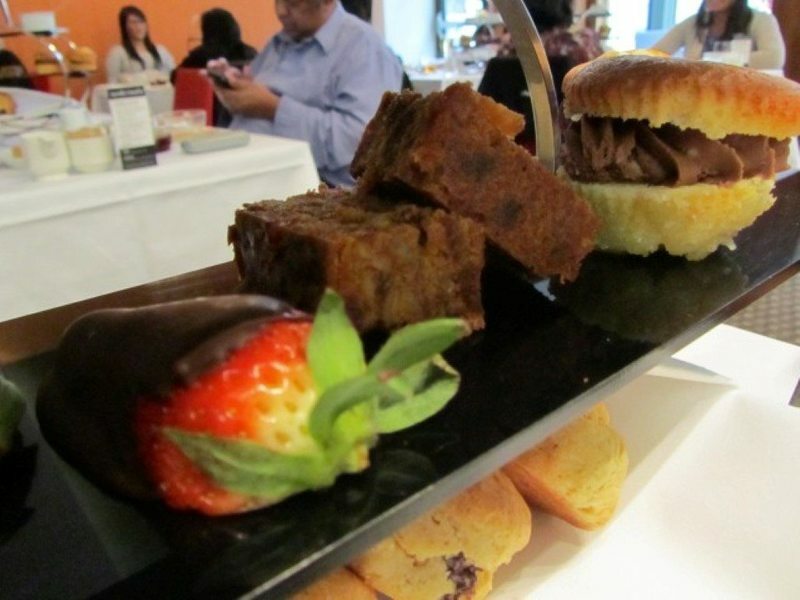 The scones and sweet treats were given their own three tiered stand. 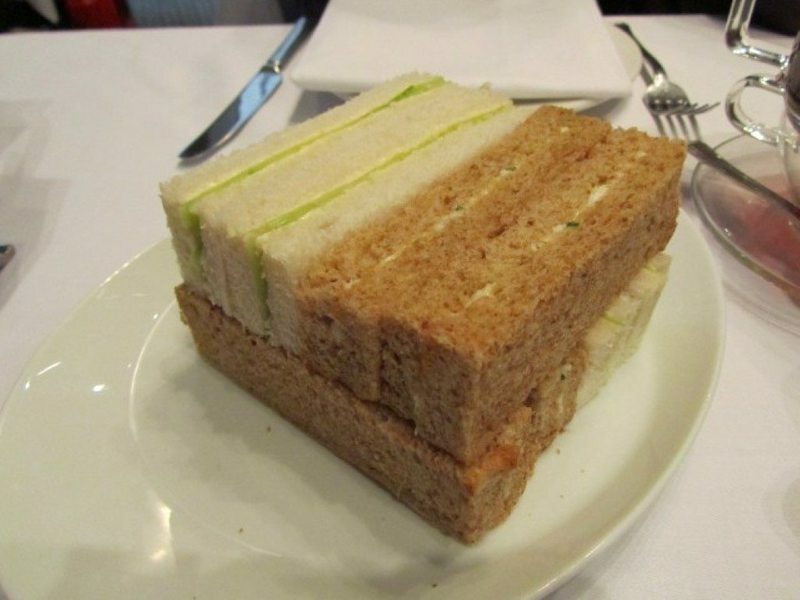 As we requested vegetarian sandwiches, they were cucumber sandwiches on white bread and egg mayonnaise sandwiches on brown bread. 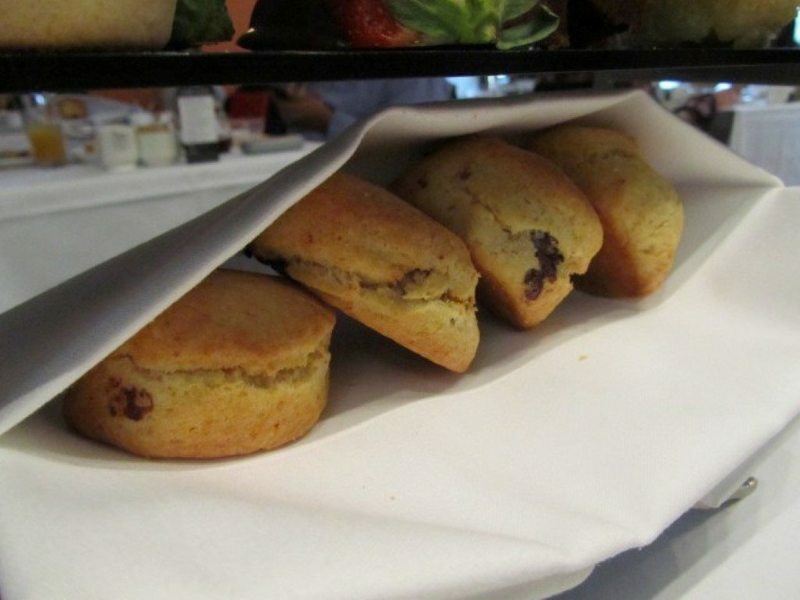 The scones were enclosed in a heavy white napkin to keep them warm. It was a lovely surprise to find that the scones were chocolate chip and not raisins. 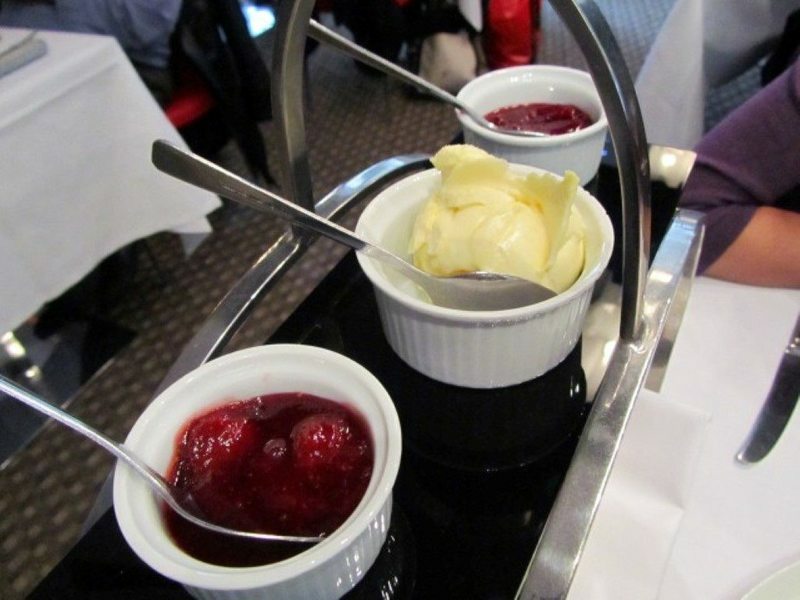 Three little ramekins on the top tier were generously filled with Devonshire clotted cream, strawberry and raspberry preserve. The strawberry preserve had big fruit pieces in it. The warm chocolate scones with the cream and preserves were delicious. 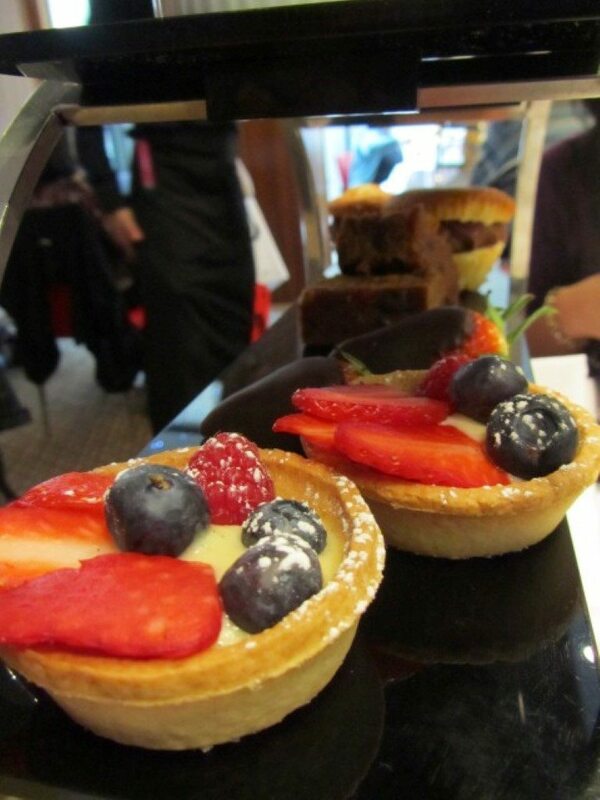 Fresh fruit tartlets were topped with berries and filled with creme patissiere. Other delights were fruit cake and chocolate filled buns. It was refreshing to have the fresh strawberries to cleanse the palate even though they were coated in chocolate. There was lovely and friendly service given by the staff at Number Twelve. 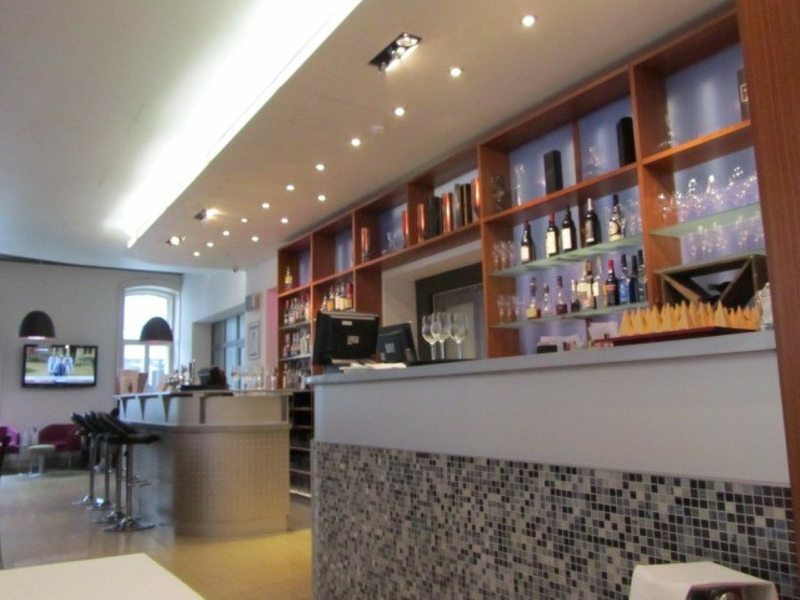 The dining area is separate from the bar area. 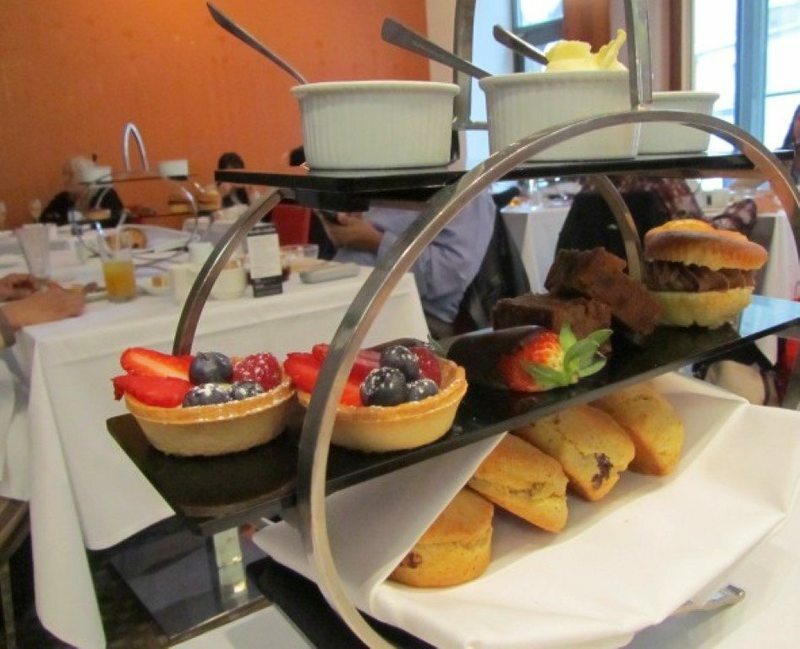 Number Twelve provides a relaxed Afternoon Tea with extra special delights with the chocolate based treats!